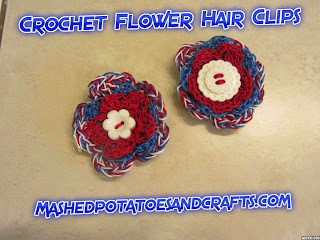 Hi, I’m Rachelle from Mashed Potatoes and Crafts. I’m a farm girl from Idaho, and I love creating things: DIY stuff, food, books, and crafts! Today I’m here to share one of my favorite simple crochet patterns that is so versatile, you’ll love it! 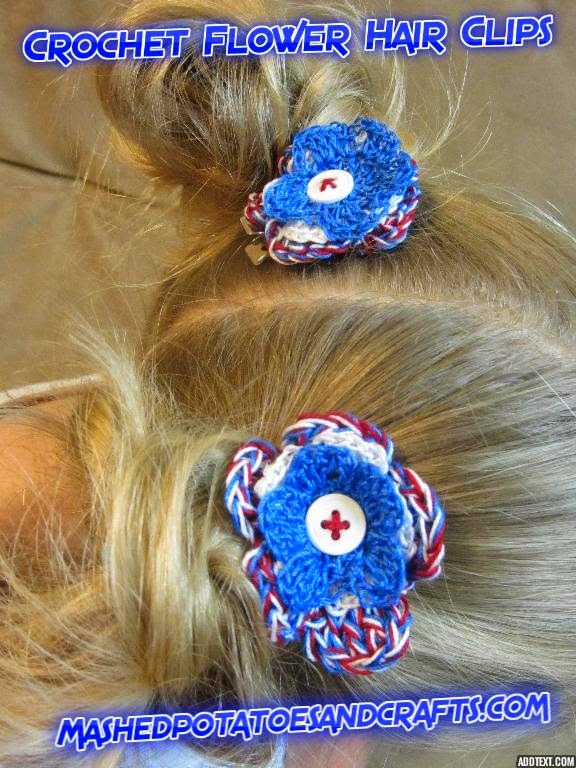 I used the Five-Petal Crochet Flower Pattern to create a darling set of patriotic hair clips. 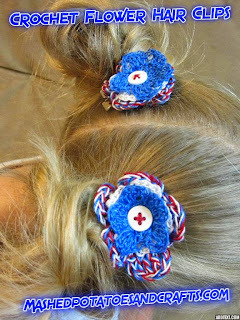 Once you’ve crocheted your 3 flowers, layer them one on top of the other and place a button on the top. 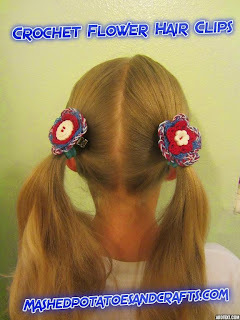 Use a tapestry needle or other dull point needle to sew your button on through the 3 layered flowers. 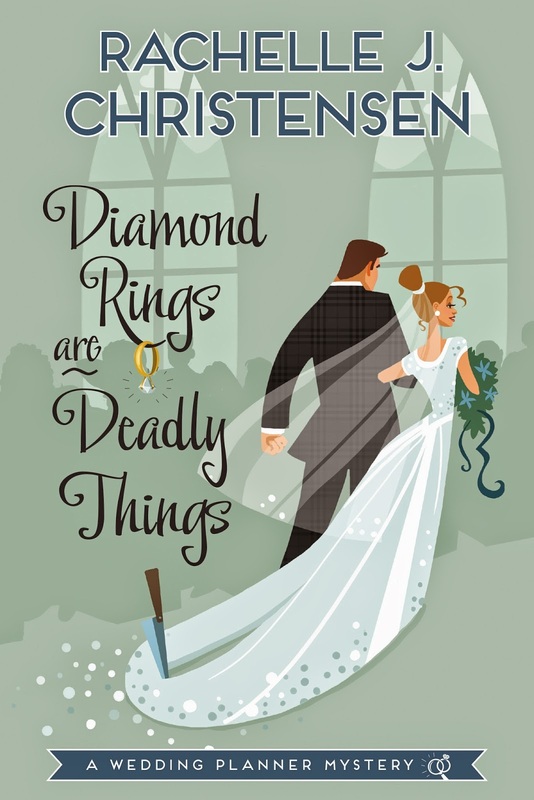 Are Deadly Things and all of the chapter tutorials here.